Pakistan’s Prime Minister Imran Khan held a bilateral meeting with Li Keqiang, Premier of the People’s Republic of China in Beijing today. Prime Minister is visiting China from 2-5 November 2018 on his first official visit at the invitation of Premier Li Keqiang. The meeting was marked by traditional warmth, mutual understanding and trust. On arrival in the Great Hall of the People, the Prime Minister was received in an elegant and warm welcome ceremony where he inspected the guard of honour. 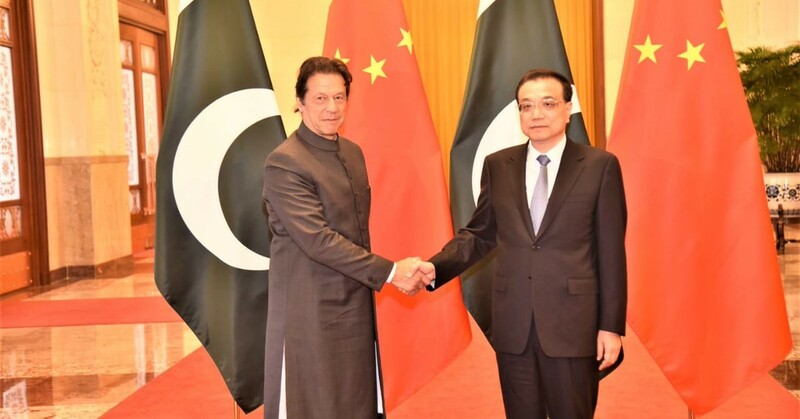 During their bilateral meeting, Chinese Premier congratulated Prime Minister Imran Khan on his successful election as the Prime Minister and expressed his desire to work closely with him to further strengthen the “all-weather strategic cooperative partnership” for shared future. Prime Minister Imran Khan thanked Premier Li for the warm hospitality and reaffirmed the message of strong strategic partnership between Pakistan and China. The two leaders expressed satisfaction over the multi-faceted bilateral cooperative relations. They reiterated their resolve to continue to deepen the relationship and explore new avenues for practical collaboration. Both sides expressed satisfaction at the progress of CPEC, which is a flagship project of Belt and Road Initiative (BRI). 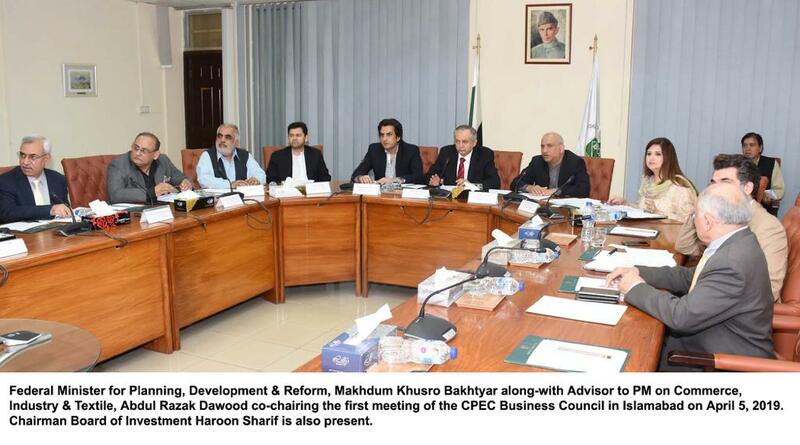 The two leaders expressed complete confidence on the importance and future development of CPEC. 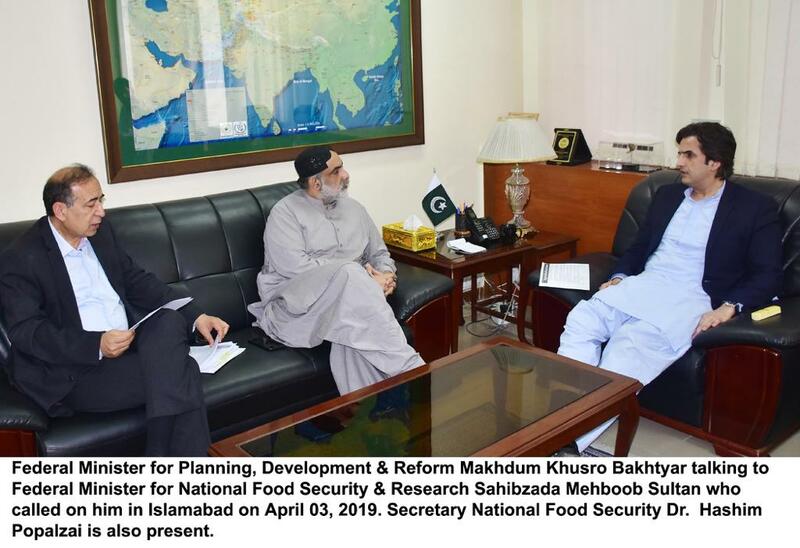 They expressed confidence that the process of industrial development of Pakistan will accelerate with the launch of Special Economic Zones and industrial parks. 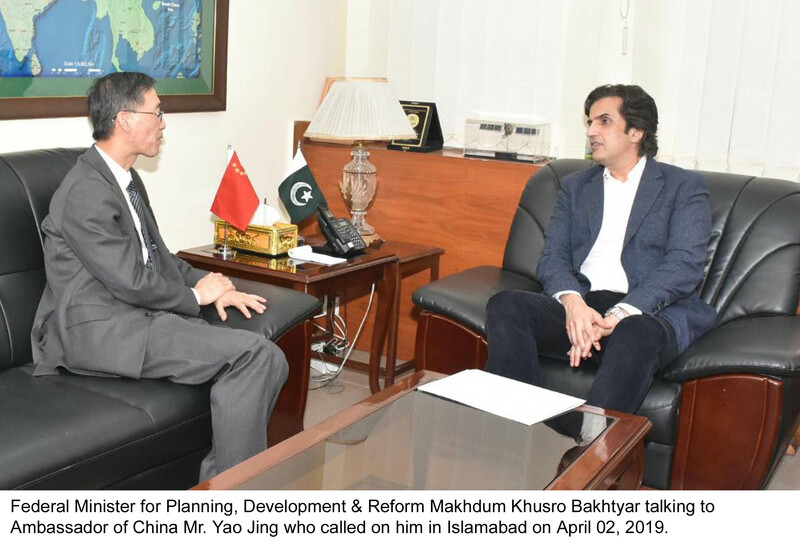 Sharing his vision of ‘Naya Pakistan’, the Prime Minister congratulated Premier Li Keqiang on successful anti-corruption drive, poverty alleviation, and modernization of China based on innovation and IT. He added that China’s phenomenal success in the last 40 years that resulted in socio-economic uplift of the people offers a great example for developing countries. The two leaders expressed their commitment to maintain close engagement on issues of regional and global importance. They agreed that the relationship has withstood the test of time, notwithstanding changes in domestic, regional and global situations. The two leaders witnessed the signing of a number of Agreements and MoUs in the fields of agriculture, poverty reduction, forestry, law enforcement and socio-economic development. Premier Li also held a banquet in the honour of the Prime Minister and his entourage. 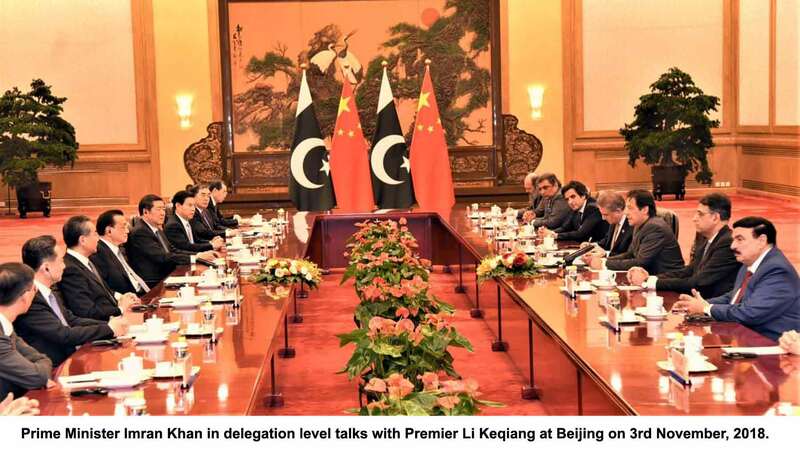 The Prime Minister extended invitation to Premier Li Keqiang to visit Islamabad at his earliest convenience. The date of the visit will be finalized through diplomatic channels.